I hope you get caught up on your sleep--being exhausted, especially on a Monday, is never fun! 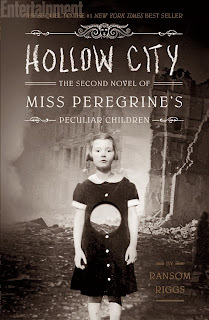 I LOVED Miss Peregrine's Home for Peculiar Children but wasn't sure when the sequel was due. Pre-ordering this ASAP! What's with all the mason jars? Couldn't you use something else?? ?